The Old Reality | Cancer in children had always signaled a hard stop - a red light to young lives in motion. For parents, the diagnosis meant learning a new vocabulary, adopting a radical schedule, and shaking up nearly every minute of ordinary family life. As cancer threatened futures, it was a journey with few detours. The Road Ahead | A diagnosis of cancer or a blood disorder will always be devastating, but today, there is greater hope. With new treatment options, children spend more time receiving more care that will move them toward a cure. These treatment options also mean children will need more Valerie Fund in-clinic support and survivorship programs. This is why we have created the Green Light Initiative. 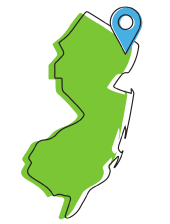 Launch the newest Valerie Fund Children’s Center at St. Joseph’s Hospital in Paterson, NJ to serve 1,000 new patients each year. Interested in learning more about the Green Light Initiative? 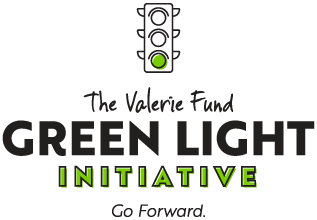 Sign up for our email list and we’ll keep you up-to-date with the latest Green Light Initiative information including upcoming events, impact stories from Valerie Fund kids and additional ways you can help.